Eric Edholm and Arthur Arkush continue an eight part division-by-division breakdown series around the NFL looking at the potential ceiling for teams and where they need to improve. 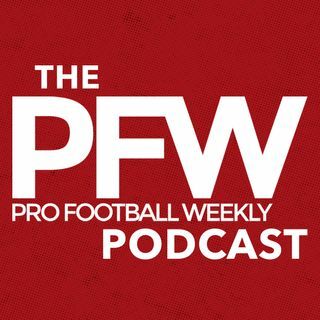 This week we focus on the NFC West. Plus, we talk some of this week's headlines including the latest on the McCoy allegations and possible suspension, plus a recap on the Supplemental Draft and an airport scuffle with Pacman Jones. In addition we bring you some over/unders in win totals for the NFC West. Like ... See More what you hear? Subscribe to us here in iTunes. Leave a review, it helps others discover the show.